Thank you so much for giving us such a memorable wedding ceremony. Your words were so touching, our family and friends got to sense how much in love we are. From our new combined family, we thank you so very, very much. David and I want to THANK YOU so much for the beautiful ceremony. We are so grateful and thankful for the blessings in our lives and you are one of them. You did an amazing job. I imagined my wedding everyday prior to the day, and let me tell you, you did beyond what I had ever dreamed of. Thank you so much, and may God grant you lots more weddings, because you have a gift and you will make more couples, so happy. Anthony and I would like to take this moment to say “THANK YOU”! The beautiful and intimate ceremony you presented us with on our wedding day was over the top! We are both filled with so much happiness on how you captured our years together and allowing us to re-live the moments that lead us to OUR WEDDING DAY. We are extremely moved and amazed on the outstanding job you did for us and would like to express that you definitely stand by your word when you made our special day a DREAM WEDDING. Thank you so much Rudy! You gave us so many tips and ideas, things we really didn't think about. The wedding - everyone loved the ceremony, ESPECIALLY when you added our story about how we met. You did an awesome job! 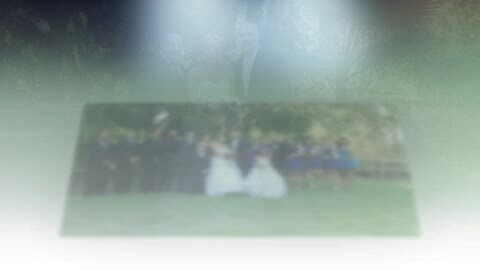 Below is a sample collage of photographs taken at a few of the weddings ministered by Dream Wedding. This video was edited using Pro Show Producer to demonstrate the types, venues and styles of weddings performed. The display was created to show single shots per frame for this presentation only. There are many effects,transitions and improved display quality that were not used here, but are available when your photos are edited using this program. If you are interested in learning more about Dream Wedding creating a DVD of memories from your wedding, contact us at 626 600-1WED or email at [email protected]. Rudy, thank you so much for your hard work and dedication. We really appreciate the fact that you put your own time into something so special for us. You have made this special occasion into a magical, unforgettable night...and words cannot describe how much we thank you! Your professionalism and service was outstanding. It was everything we wanted and hoped for. We appreciate everything you did for us. Rudy provided us with an ever better service than we thought. All we were really looking for was just to say the basic part in our vows, but to us he went above and beyond and the words he chose to mention were warm and heartfelt and brought tears of joy to everyone. It was the best service we could have ever imagined. Everyone was truly happy with his services. We’ve been to weddings and this was by far the best officiant that we have ever seen performing a wedding ceremony. We will always be grateful for finding such a wonderful person to have done such an outstanding job. Rudy is one of the first things we mention when people ask us about how our wedding was. We can’t wait to have service our next ceremony in the near future. We both want to thank him for adding to our perfect day. Our maid of honor and best man are a couple that are looking to get married this up coming year, and they are highly interested in having Rudy perform their wedding. Everyone absolutely loved Rudy and we will actually be having him service another event for us in the upcoming future. We will recommend him to anyone we know. Just want to give a big big thank you for the service u did at our wedding. It was beautiful and perfect. Truly blessed to have u there with us on the day our dreams came true of becoming husband and wife. Thank u again. Absolutely beautiful wedding service...thank u Mr. Rudy Lopez. Great job!! !